Can't believe it's almost the end of June already! Did anyone else in Toronto feel that bit o' earthquake yesterday? I thought it was construction outside, then I walked into the hallway and saw my cats freaking out. It wasn't that bad... 5.0 magnitude that came all the way near Ottawa. Trust me, it was much scarier when it happened while I was sleeping in my hotel in Tokyo. Anywho, thought I'd write a quick review of this nifty little Integrate product. It's called the Impact Double Liner, which you can purchase from Imomoko and there are 2 colors to choose from. I think I have a love hate relationship with this. I got mine a loooong time ago while I was in Japan (I seem to keep digging up stuff from last year). I got the black x silver one, which I kind of regret now, but I love how this combines 2 products into one. 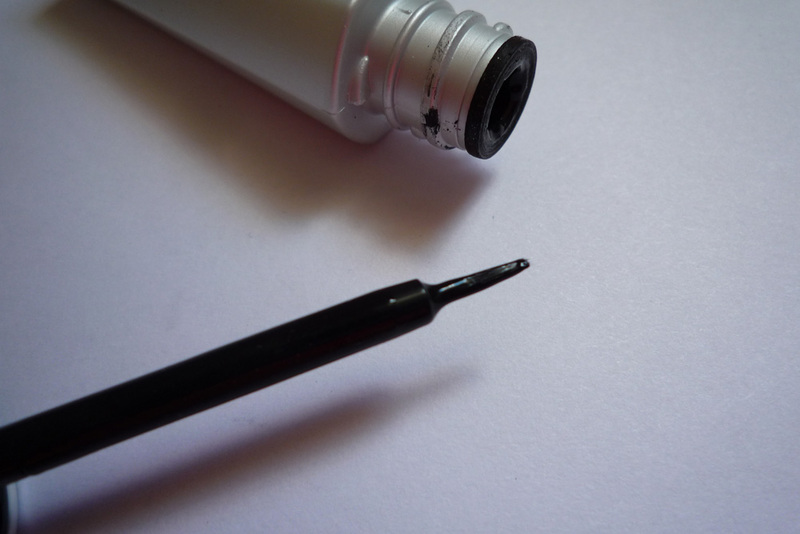 I knew the black liner was going to be a super inky black which didn't suit me, but the silver shadow got to me. I should have gotten the brown x gold one which is more suitable for everyday use. One end of this product comes with a black liner. It's super inky and gives off a pearlish kind of finish, but not shiny. I find the brush to be too flimsy thus making application a pain. 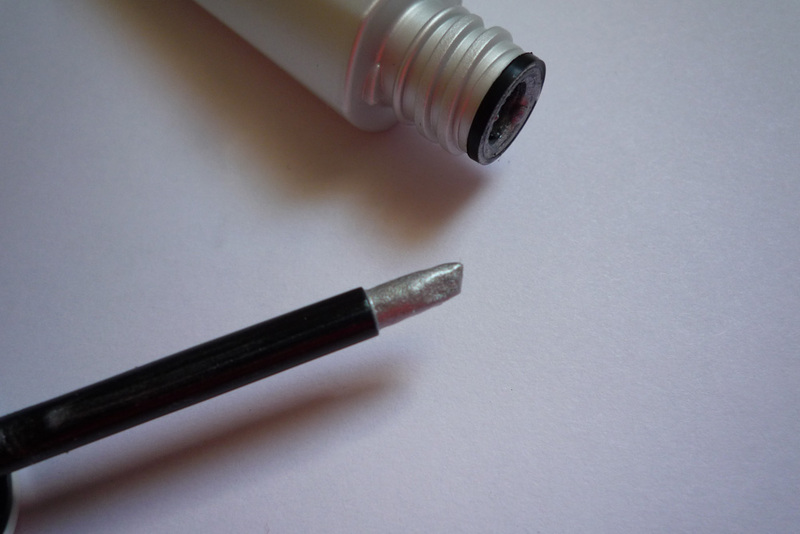 I'm used to the felt tip applicators or a brush that's more stiff. 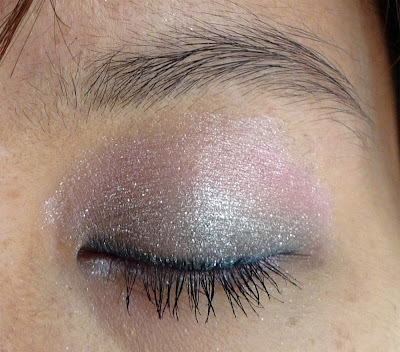 On the other side is a very pretty pearly silver cream eye shadow/gloss. 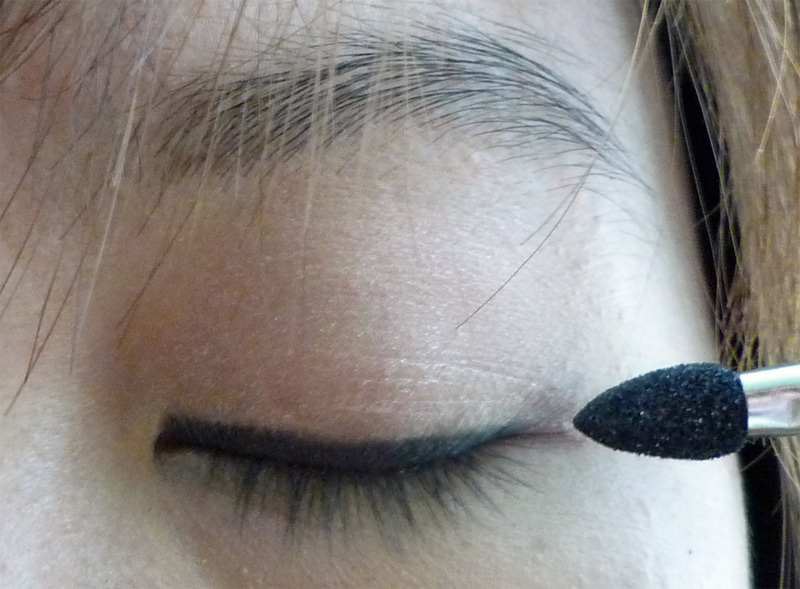 The applicator is sponge-like but a hard sponge. 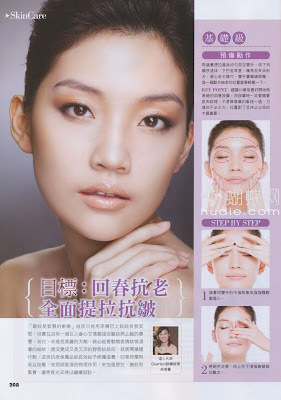 It's very difficult to create a straight line or even spread it properly. I end up using my fingers to do it which looks a bit messy. 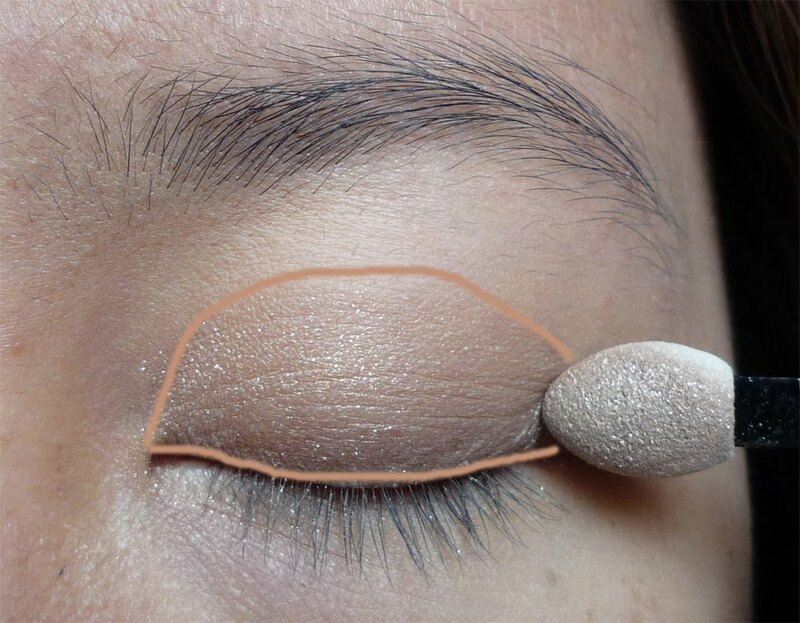 The shadow is meant to be on your upper lashline and a little higher, that way when you apply the liner, you can see a glimpse of the silver. To get the silver to show up well, it needs to be layered on. However, even if it's not layered on a lot, you can still see the silver at different angles which makes it unique. In the end, I'm not even sure why I purchased this. 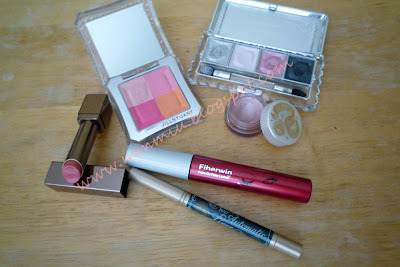 It might be because it was my last day in Tokyo and I didn't want to leave empty handed from a drugstore! I think I would have been better off using a silvery white shadow to get the same effect. If you have the patience with brushes like this and the shadow applicator, then you'd like how it combines 2 products. Otherwise, I think everyone should save their pennies for other things. Oohh..I'm on a roll with another post in the same week! 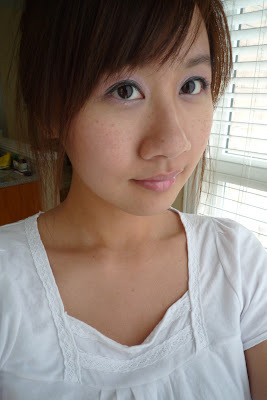 Finally making use of the Jill Stuart palette on its own rather than mixing it into other things. I never really thought the bright pink was very flattering on me, but I decided to try a different way of applying it. I didn't use the light pink shade, it's more matte which is so not me. I'm spending the day at Tim's place while he's at work because I don't have water in my house for the day =/ ...this explains the crummy lighting for my pictures. Stubutt watermain being fixed on my street and I need a flushable toilet! . 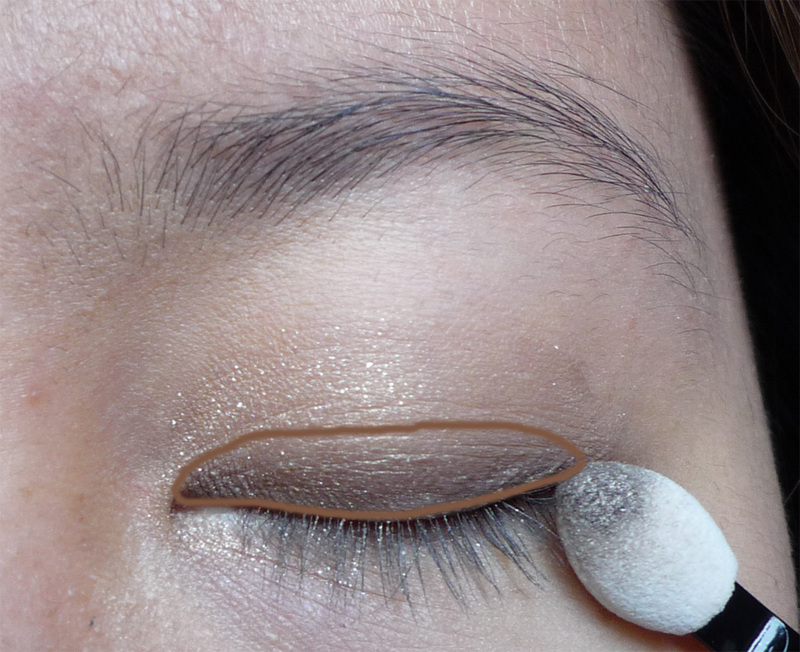 Start off with cream shadow, applying it on the crease area. Using the liner shade, apply a thick heavy line on the top lashline. Smudge the shadow up towards the crease but not any higher. Add more shadow if the gray is too light, but make sure you still create a gradient effect. Apply the bright pink shade on the crease where the cream shadow is and lightly blend it into the gray. Line the top lashline thinly and line the bottom with the bright pink. 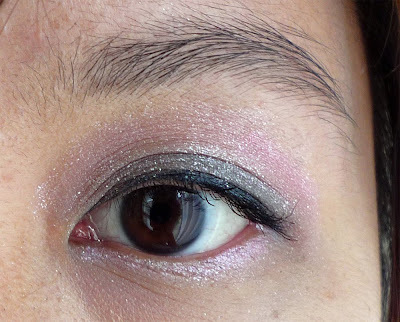 Dab the silver glittery shade ontop of the gray making sure not to cover the pink or touch the liner. 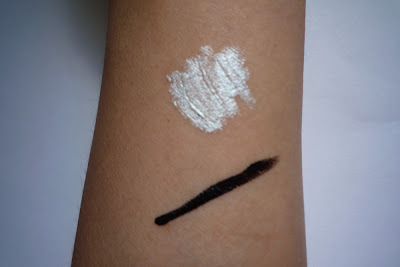 The silver shade is a bit gritty and won't apply well with the sponge tip, so finger is the best! I think it would look a lot better with false lashes for a more doll like effect. I had a McGriddle for the first time this morning and wow, it was a heavy meal. Don't think I'll be doing that again! This Friday's Lotto Max is $50 million!!!!! I'm going out to get mine soon =D What would you do if you won? Swim in a pool of La Mer? I think I'd find a condo in Hong Kong with a walk in closet in my room. 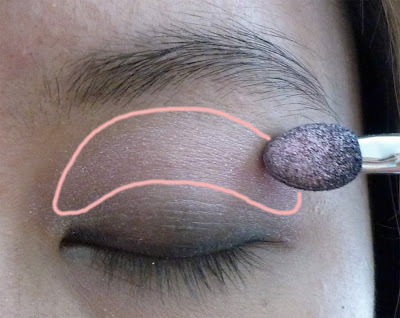 ..and the only way to do that is to add false lashes! I envy these pictures in most magazines, such pretty girly eyes. 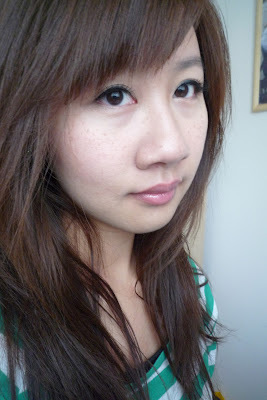 One day I need to try real hair falsies, in hopes that it's softer and bends more to my eyes. The Darkness lashes didn't feel comfortable so I took em off pretty much right after putting them on. 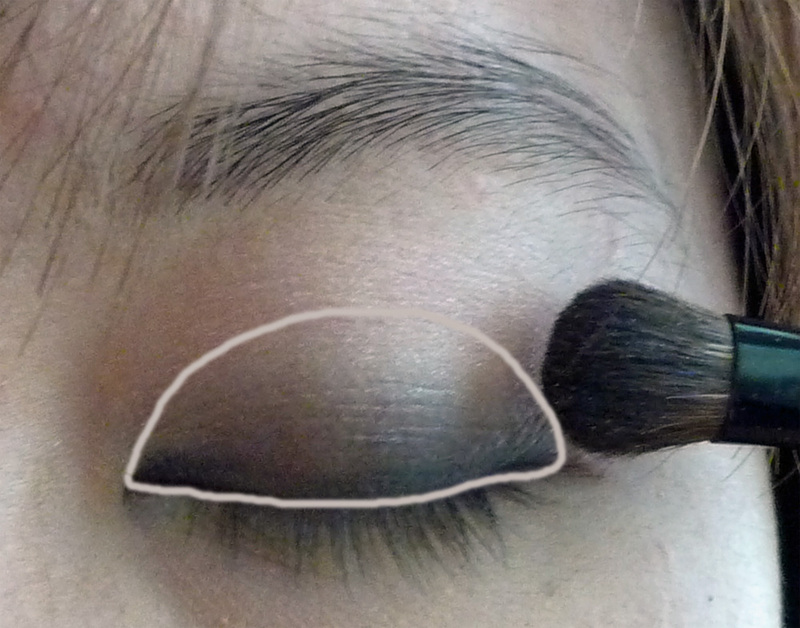 Using the lighter brown shade, sweep it up towards the crease. 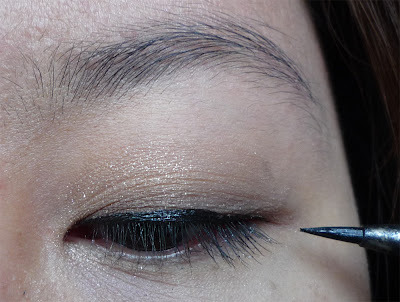 Next, using the darker brown, apply on the lashline and blend up slightly. 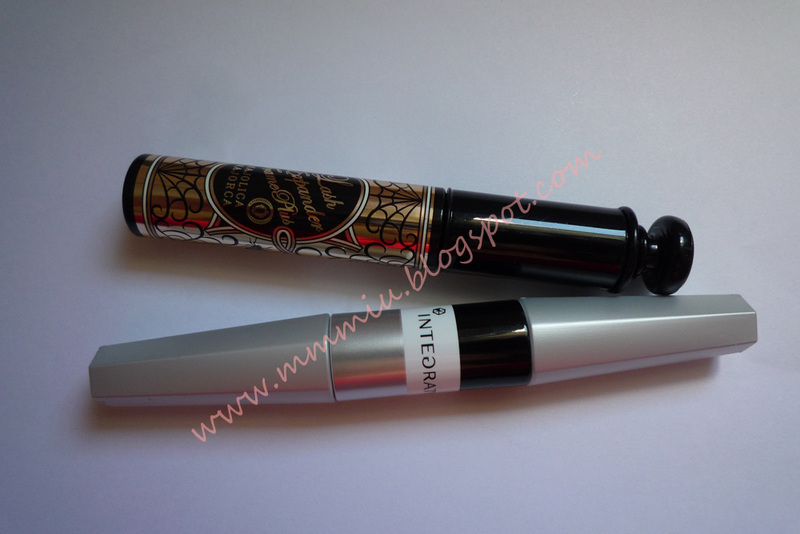 Tightline with BB gel liner and line with MM, making sure the line is slightly thicker than normal. This helps the falsies blend in better so it's not as noticable. 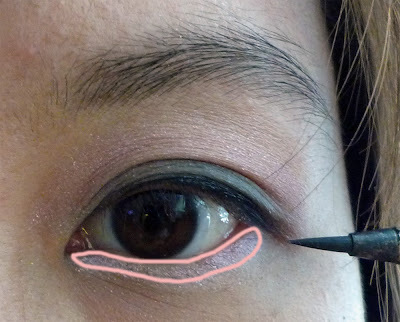 Apply Aqua eyes halfway in on the lower lashline. 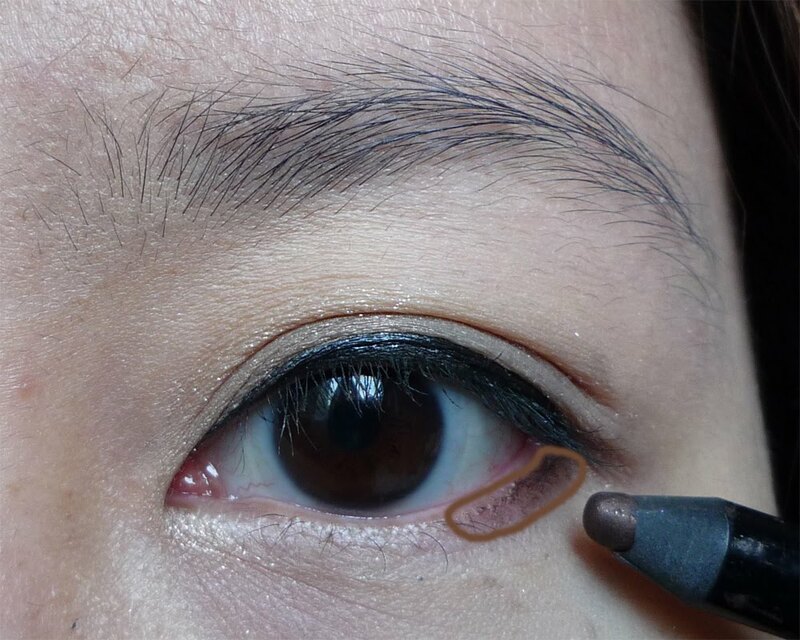 Use the darker brown shade to smudge the liner so it softens the look. 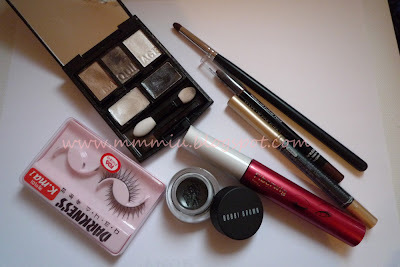 Add falsies and mascara! Does it look any bigger? Kinda.. well my eyes have a bit more "pop" to them with the false lashes and adding the brown shades on the lower lashline really helps too. 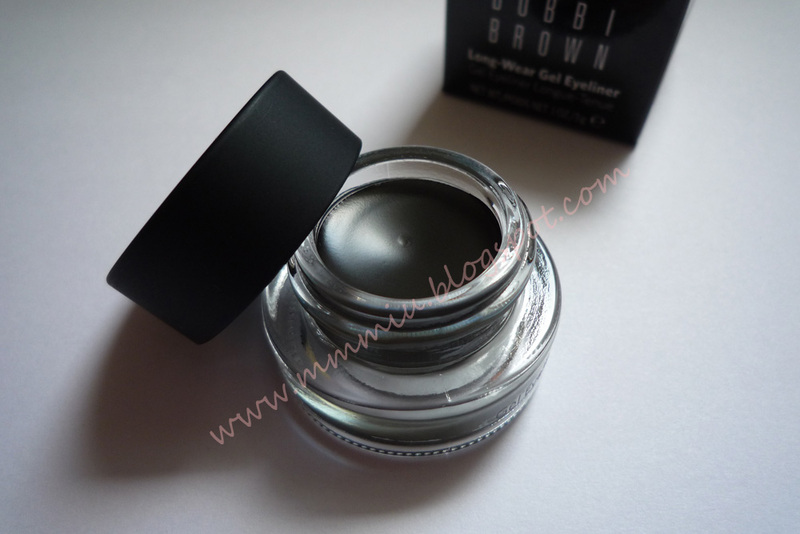 I went to some outlet mall on the way to Walden Galleria and picked up a BB gel liner for $15USD, cheap right? 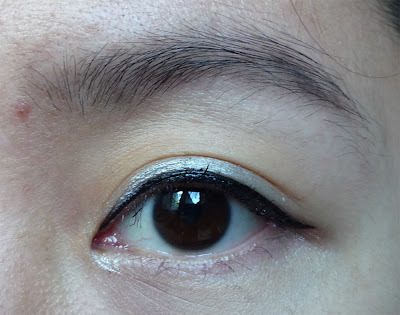 I didn't intend on getting any makeup, but seeing how I never tried BB gel liner before (and the MM liner doesn't go on easily for tightlining) I decided to give this a try. 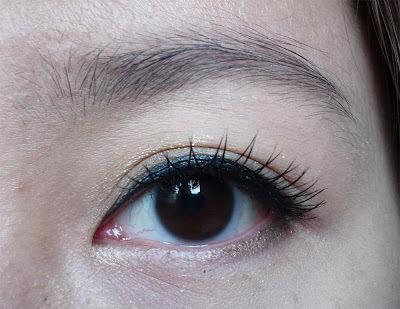 In comparision to probably my favourite liner, the color is very similiar, minus the glitter. 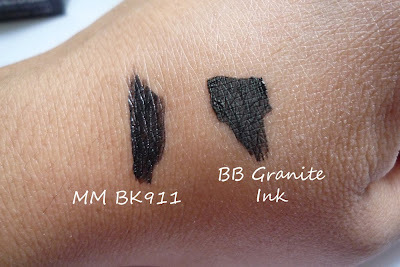 The liner is black but leans more on the gray side, hence the name granite ink. 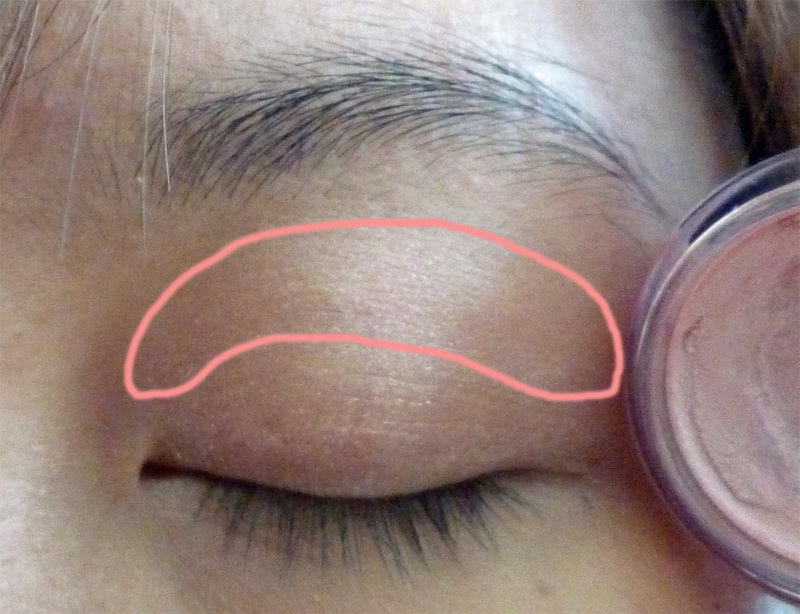 I've tried the MAC gel liner before and it just doesn't stay. For some reason it just disappears. I like and don't like the BB liner. I find it kinda difficult to get a solid line of color without having to go back a few times. 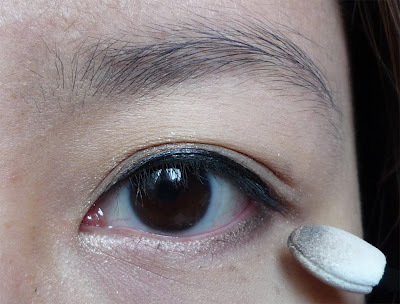 But the good thing is the liner really stays on for tight lining, but strangly it doesn't stay on well for regular lining on the upper lashline. 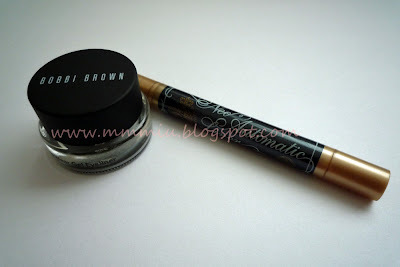 The BB liner smudges if I rub my finger on it whereas the MM doesn't. The BB liner is waterproof but the MM isn't (but it stays put all day).. in a perfect world, I would have a liner that has both of the good qualities..